To make a great first impression on new subscribers, set up a workflow that triggers a welcome email whenever someone joins your list. You could welcome a new customer with a discount code, set expectations for a newsletter subscriber, or create a workflow series to deliver tips, or an education course, over a couple of weeks. Important: New subscribers who are added to a list manually, by typing in their details in your account or through importing a file, will not trigger this workflow to send. Select When someone joins a list as the trigger. 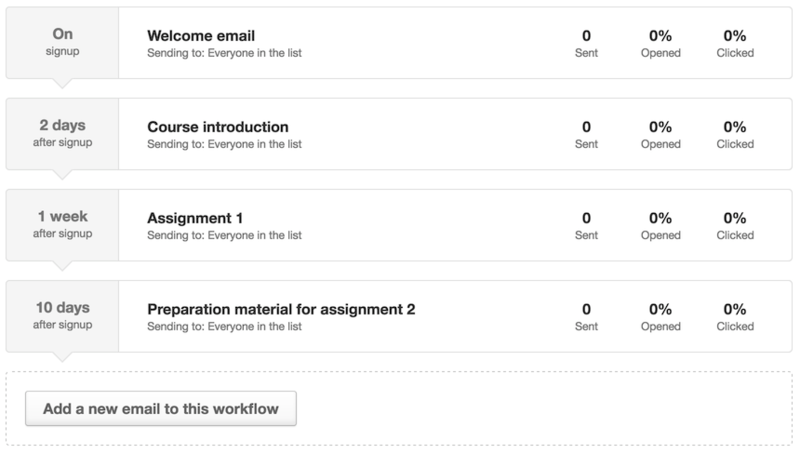 Name the workflow, for example: "Welcome email." As soon as you start the workflow, anyone who joins your list through a subscribe form or an API call (if you use our API) will trigger the email, or emails, to send.